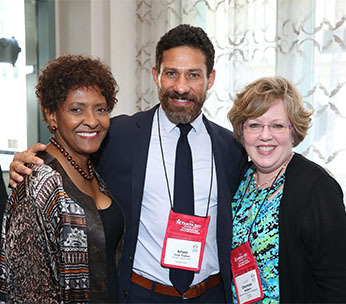 SGMP’s 2019 NEC is known for the many varied opportunities that exist for networking. This essential ingredient is part of the secret sauce that makes the conference so valuable to all who attend. Government meetings are most successful when planners and suppliers collaborate, so having a solid network of colleagues to call on can make government meetings management even more impactful and successful in the long term. In addition to the Expo, which sells out every year, and time between sessions, the following events present fantastic opportunities to network. Download the conference app, SGMP NEC, to access the agenda, meeting locations, speaker bios, exhibitors, network with other attendees, and more. In your app store, on both iPhone and Android systems, search for SGMP NEC to download the app and login using the email address you used to register. Here’s an App Guide (PDF) to make it easier. Photos courtesy of Christie’s Photographic Solutions.